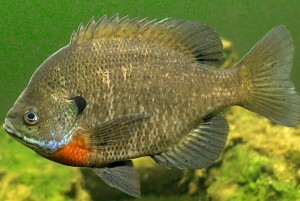 The Bluegill Sunfish, more well known as just the Bluegill (Lepomis macrochirus), was introduced to South Africa as a fodder fish for the Bass species such as the Largemouth Bass, Smallmouth Bass and the Spotted Bass, in 1938. It is very well established in many dams, lakes and rivers in South Africa, and is particularly common in the Western and Eastern Cape. There are also populations in KwaZulu Natal, Mpumalanga and the Free State. 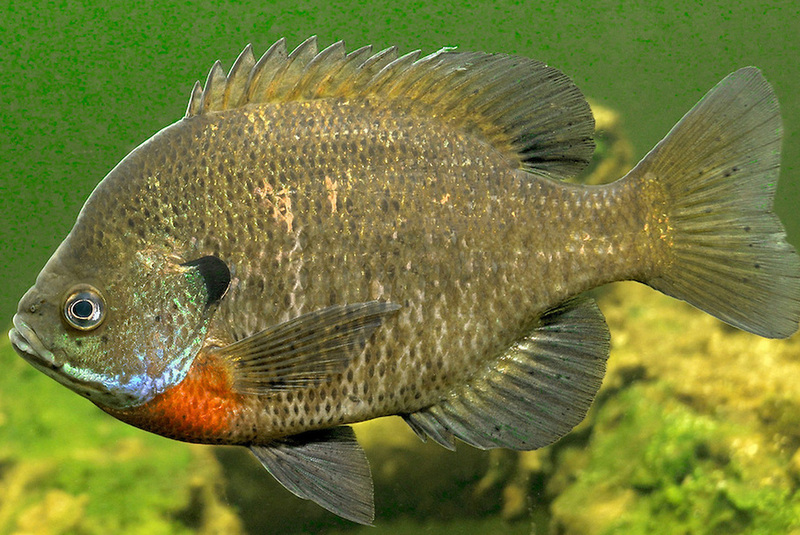 The fish get’s it’s name from the bluish/purple gill plate coloration, and in the photo you will see a breeding male Bluegill Sunfish, with it’s stunning colours. Bluegill Sunfish have a bad impact on small indigenous species like Barbs and Redfins. 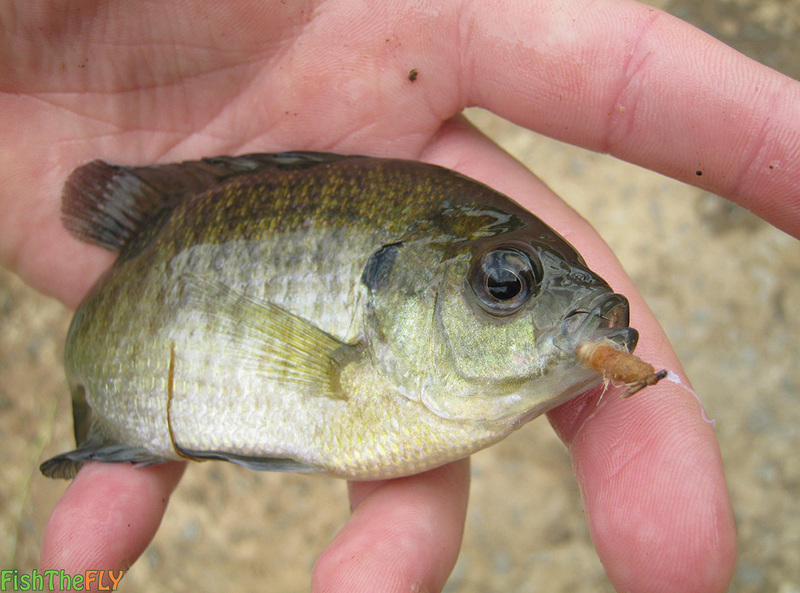 Bluegills breed very quickly and can over take small bodies of water in no time at all, which is why they are such a threat to our smaller indigenous freshwater fish species. The Bluegill is similar to the Tilapia species of South Africa and belongs to the North and Central American group of Sunfishes. When targeting Bluegill it is best to use a 3 or 4 weight fly setup, with 6lb (Or less) tippet, and floating line. Sinking line can also be used with streamer flies and wet flies. 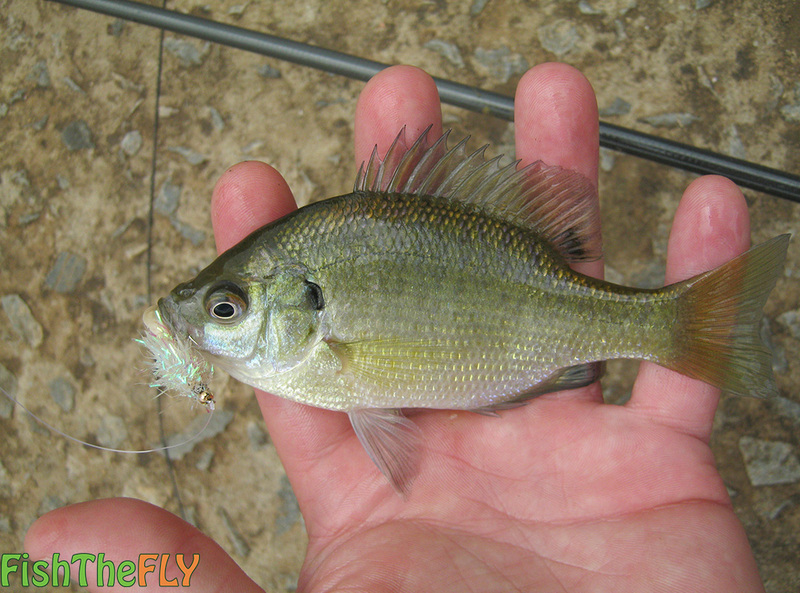 A great way to catch Bluegill is to have a flashy attractor fly, such as a White Fritz or small Clouser Minnow, and then trail a smaller fly behind it, such as a PTN or Zak. 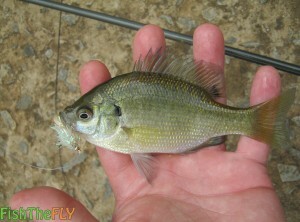 Bluegill like movement but they will also hit a static dry fly when they are in the mood. Sometimes they prefer fast strips/retrieves, while other times they will only take the fly when it moves very slowly. They do hit the fly quite hard though, and the bigger fish can provide hours of fun on the right fly fishing setup.